The city had last recorded 15 degrees Celsius on December 11, 2016. On Thursday, the Santacruz observatory recorded a minimum temperature of 15 degrees C which was a good 3.3 degrees Celsius below normal. The Colaba observatory recorded 20.5 degrees C, a minuscule 0.2 degrees Celsius below normal. Both the observatories recorded a maximum temperature of 32.6 degrees C, said the report. The IMD has forecast cold wave and severe cold wave conditions for Punjab, Haryana and Rajasthan for the next three days. 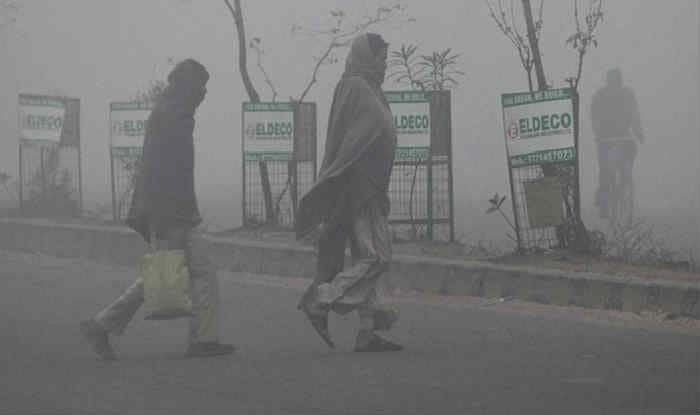 The bureau said that isolated cold wave conditions will develop over west Uttar Pradesh as well. Ahmednagar, which recorded a minimum temperature of 6.4 degrees C on Thursday, partly met the cold wave criteria. Meanwhile, as per IMD, isolated rainfall activity was likely over Andaman & Nicobar Islands, peninsular India and over Lakshadweep area. It also predicted above normal rainfall activity over southwest Peninsular India and over Lakshadweep area in the next few days. northeastern states and the south interior Karnataka and below normal over rest of the country in the coming week, said the IMD website. Dense fog is likely at isolated places over north-east and east India in the next 4-5 days. Shallow to moderate fog is likely at isolated pockets over northern plains during the next 4-5 days.